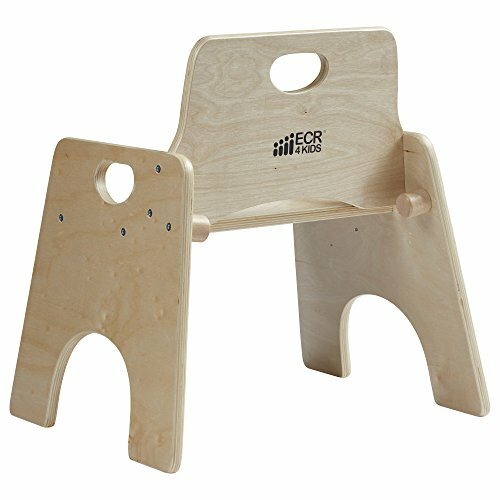 Toddlers will love sitting with the big kids in this sturdy chair made just for them! 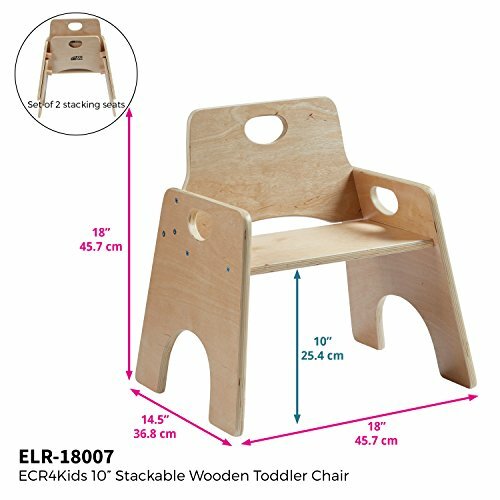 ECR4Kids Wooden Toddler Seats are as durable as they are adorable. 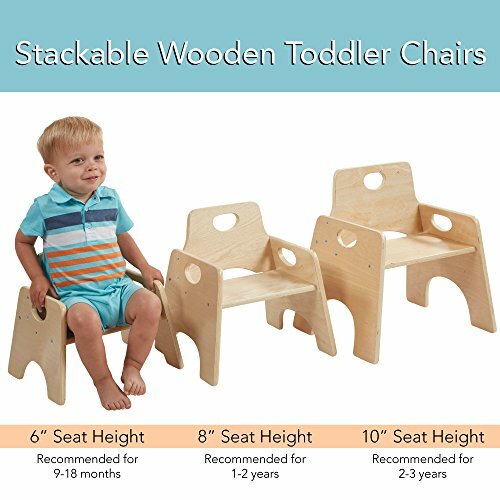 With 3 different seat heights, they make the perfect place for toddlers to sit, share a snack, or read their favorite picture book. Perfect for letting little ones sit comfortably in preschool classrooms or at home. Cut-out handles on the back and both sides make the lightweight seats easy to pick up and move — it's fun for independent little ones to carry their own seat. Chairs feature an easy-to-clean natural finish and rounded edges for safety. Easy to assemble, and stackable to save space.